It’s that time of year again! Get ready to send out your holiday greeting cards in style when you print Snowflake Ornament Cards for your family. Half of this unique Card is dedicated to the image of your choice, perfect for a family picture. The other half is detailed with a design that includes three delicate red snowflake ornaments. 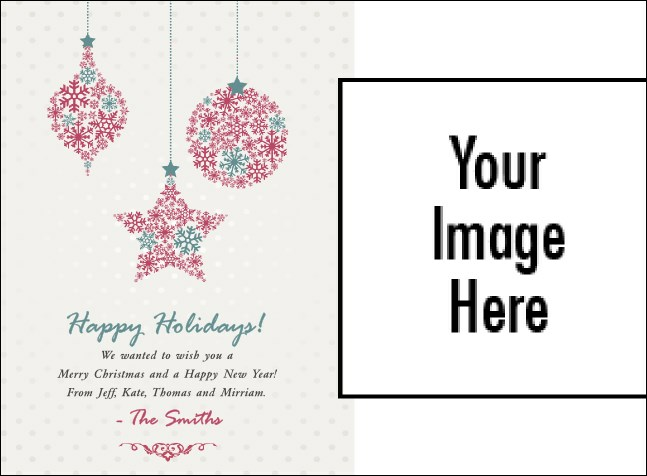 Send a special greeting to your loved ones with Holiday Cards from TicketPrinting.com.